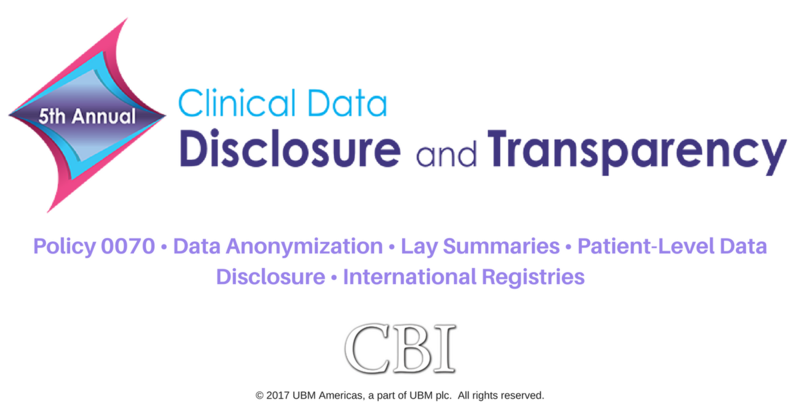 CBI’s 5th Annual Clinical Data Disclosure and Transparency conference will help to navigate regulatory changes at both the U.S. and international level. Develop strategies to anonymize and release patient level data, ensure compliance with disclosure and transparency requirements, and achieve meaningful patient engagement through comprehensive lay summaries. Gain insight from industry experts by discussing and disseminating the latest information related to Title VIII of FDAAA Final Rule and complimentary NIH policy, EMA Policy 0070, ICMJE requirements, data anonymization, sharing patient-level data and international registries. Medical writers and those involved in the process of developing clinical study reports should attend this conference as it would be very beneficial for their everyday tasks. EMA policy 0070 has significantly changed the importance of data anonymization with the publication of clinical study reports. 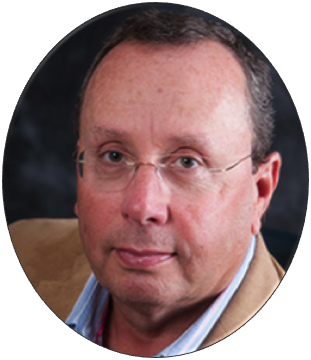 With the release of new requirements from both the International Committee of Medical Journal Editors (ICMJE) and the BMJ (formerly the British Medical Journal), it is critical that all individuals with responsibilities in clinical data sharing fully comprehend the scope and detail of these policies to ensure necessary resources and policy compliance. This workshop deep dives into publication requirements to assess impact on transparency, navigates complex examples of data sharing statements and how they should fulfill requirements and addresses valid concerns regarding the feasibility of proposed requirements, risks to trial participants and protection of patient and researcher interests. How do statements from medical publications impact disclosure and transparency? What conditions and considerations for publication of a clinical trial report are required under the ICMJE? How does the BMJ’s policy to require data sharing for all submitted clinical trials affect other U.S. and international medical journals? What steps can be taken to propel initiatives to responsibly share data generated by clinical trials and make deidentification of patient data the norm? As we approach the two-year anniversary of EMA’s Policy 0070 release and its mandate to publish summary reports, clinical sponsors are facing increasing pressure from government and industry regulators to safeguard the identities of clinical trial subjects. This workshop shares the experience of several clinical sponsors that have implemented Policy 0070, along with their challenges. Explore multiple scenarios for creating quantified risk assessments which maximize data utility and lay the foundation for sharing individual patient data. Participants gain insight on best practices, lessons learned, implementation tools and strategies for building a path forward aligned with the most current regulatory guidance. What are the key provisions outlined within EMA Policy 0070? What companies have submitted under Policy 0070 and why do different companies do it different ways? What are ongoing challenges surrounding Policy 0070 implementation and what steps can be taken to overcome them? Can technology help to balance re-identification risk with data utility? Three members of the d-Wise team, along with Benjamin Rotz from Eli Lilly & Co, are leading Workshop B. Stephen Baker, Senior Client Engagement Manager, Cathal Gallagher, Life Sciences Consultant, and Chris Connor, Senior Life Sciences Consultant, will be there to answer questions while leading a roundtable discussion with hands-on anonymization and risk simulation around policy 0070.
d-Wise Technologies, Inc. is a technology leader with the expertise to empower world-class life science and healthcare organizations to resolve their business optimization challenges, and help them rapidly harness change by leveraging data, systems and processes to gain competitive advantage. The d-Wise Life Sciences Practice has been providing clinical advisory and modernization services to our clients for over fourteen years. d-Wise consultants engage with life science clients to adopt a progressive and comprehensive approach to modernizing clinical trials through well-designed solutions and processes.